NZD was supported due to the RBNZ decision about the rates. The support rests in 0.71810 with resistance at 0.72150 which both lines are above the weekly pivot point 0.71710. The EMA of 10 is falling down towards the EMA of 100. The RSI is moving in 50 level, the MACD indicator is positive territory and the Stochastic is in its lowest level. 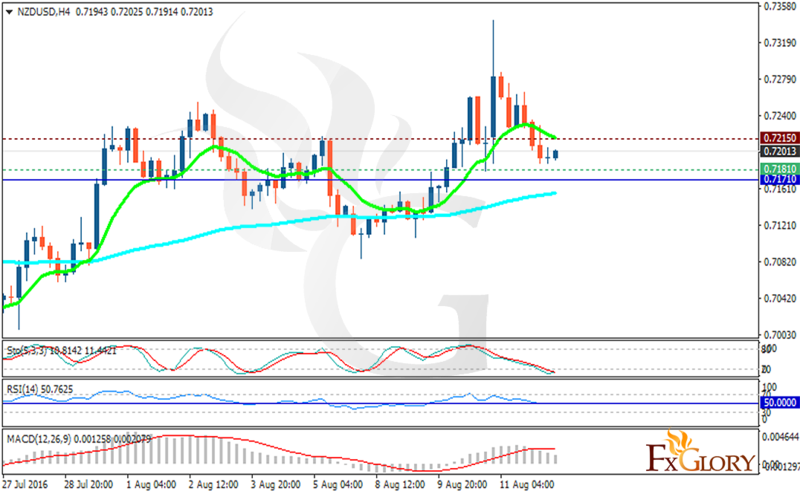 The support level breakthrough will smooth the way for further decline targeting 0.7150 however, buyers may also have a chance to find strong support in this area and wait for the price growth.